Ginger root is an anti-inflammatory, antioxidant, and digestive superfood. The spice is recommended as a natural medicine for many physical ailments due to its nutrients and health-supporting phytochemicals. There are situations, however, in which ginger is a less-than-optimal supplement to your diet and can exacerbate an already existing problem. 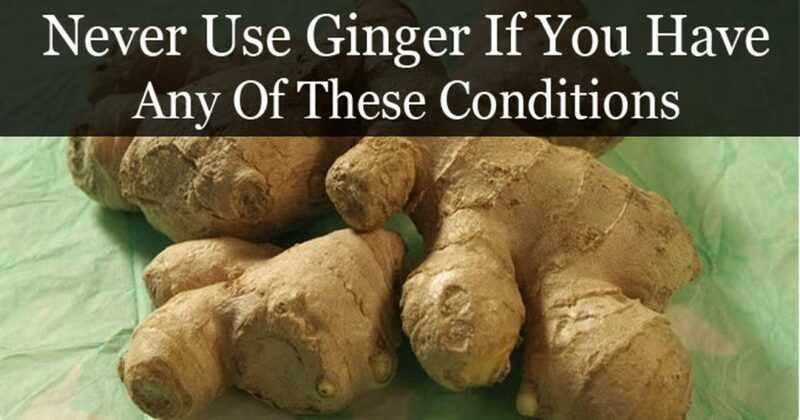 Here are some of the situations in which ginger should be avoided because of their risks. Ginger root is a blood anti-coagulant that promotes circulation. 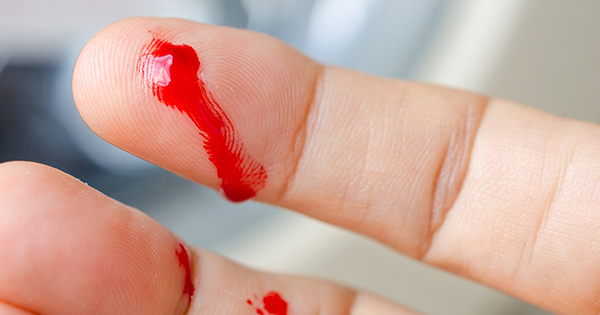 In the case of some blood conditions like hemophilia (in which blood coagulation does not occur properly), thinner blood can exacerbate the condition, making a small cut into a possibly life-threatening hemorrhage. 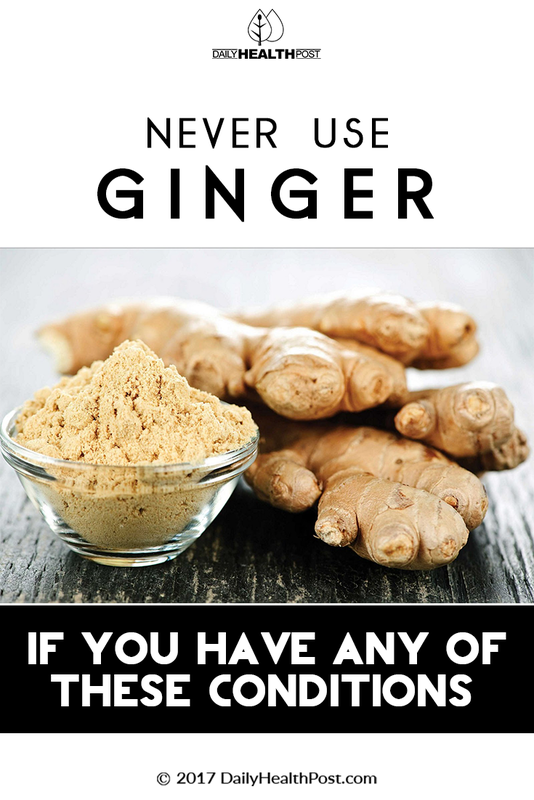 Beneficial due to exactly these effects for cardiovascular disease, rheumatoid arthritis, and high cholesterol, it’s best to avoid ginger if you have a blood condition without discussing it first with your healthcare provider. A pharmaceutical is formulated to address a specific symptom and is designed to work in a certain way in the body. Drugs come with lists of warnings and potential side effects. Because ginger root has medicinal properties, some pharmaceuticals don’t mix well with it. So to prevent any risks, side-effects, read the warnings and inform yourself as much as you can for your own safety. Ginger is a natural blood thinner and reduces blood pressure; it also regulates blood sugar (1). Taken together with medication that is designed to do the same can mean too much of a good thing. Hence, ginger should not be taken with anticoagulants, beta blockers, aspirin, or insulin. 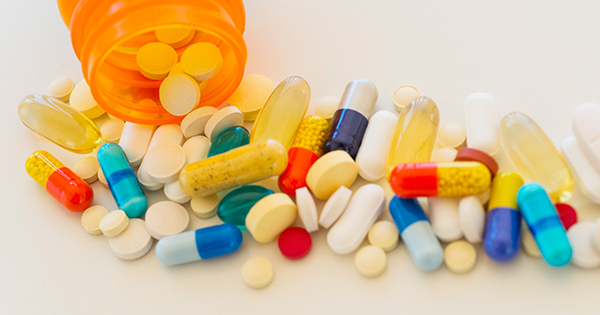 A list of drugs known to negatively interact with ginger can be found here.